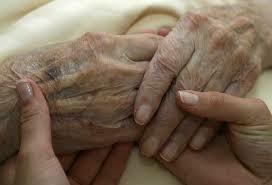 According to the Alzheimer’s Society, about 41,700 people across Ireland are currently suffering from dementia. One in three people over 65 will develop dementia and about two thirds of people in long-stay care have dementia. This debilitating disease can be not only confusing but also very lonely for sufferers and can be a difficult time for family and loved ones, especially when seeking the best and the right kind of care for those who you care about most. However, the outcome need not be as bleak as you initially feared. In fact, the range of solutions on offer today can actually enhance the life of the patient and carer and allow your loved one to live at home, independently, for longer! In the past there have been few alternatives to nursing homes and this change of environment can actually be detrimental and distressing for those with cognitive impairments. Tunstall Emergency Response’s dementia solution can be tailored to suit the individual concerned and protect them from dangers such as wandering, fire, floods and bogus callers. What is more, the solution enables people with dementia to remain in their own home, reducing the anxiety and distress of being moved which can result in the rapid deterioration of their condition.